Generally speaking, homemade food beats convenience food hands down. Having made these little beauties, I can confirm that it definitely is. No question about it. Firstly, the cost of the ingredients for profiteroles really doesn’t amount to much. Apart from the cream and chocolate, the rest can just be pilfered from your store cupboard. Secondly, the pastry is light and crisp and delicious. 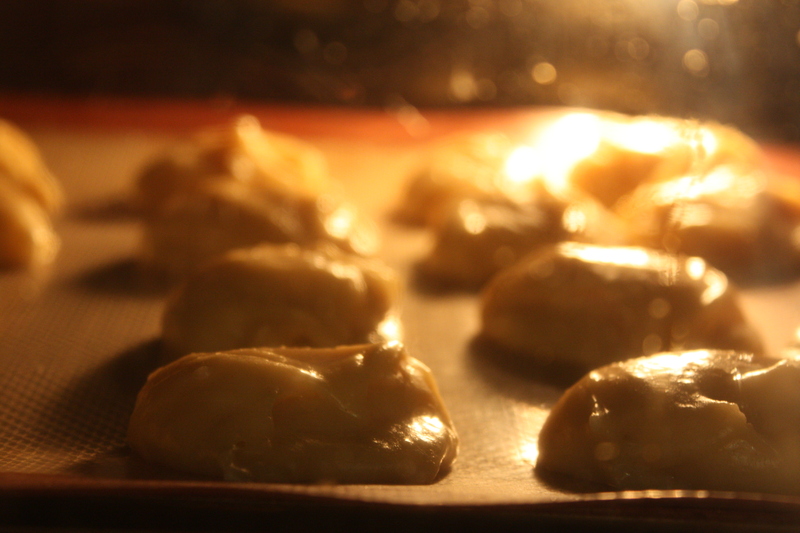 The last few times I’ve eaten profiteroles, they’ve been stodgy little parcels at an Italian restaurant, or heavy supermarket profiteroles which have been filled with cream and kept in industrial refrigerators for a bit too long. 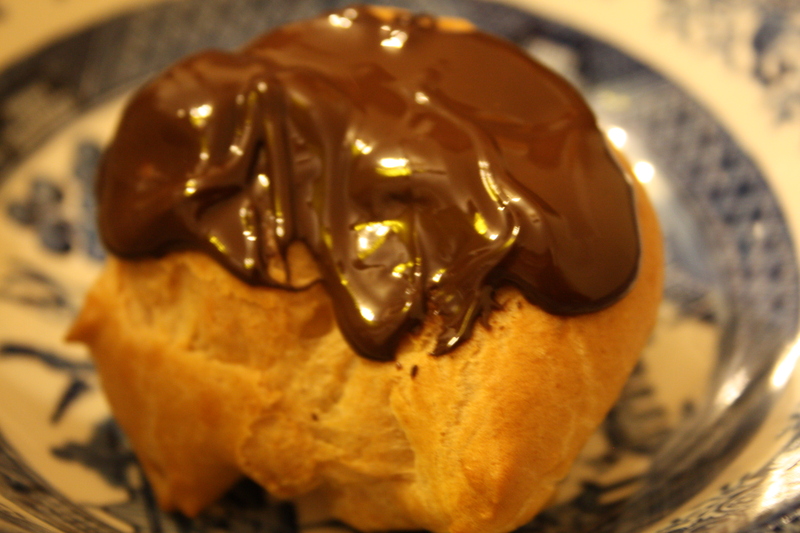 Try out the recipe below, and become reacquainted with what a profiterole really should be. Before you do anything, turn the oven up to 200°c. 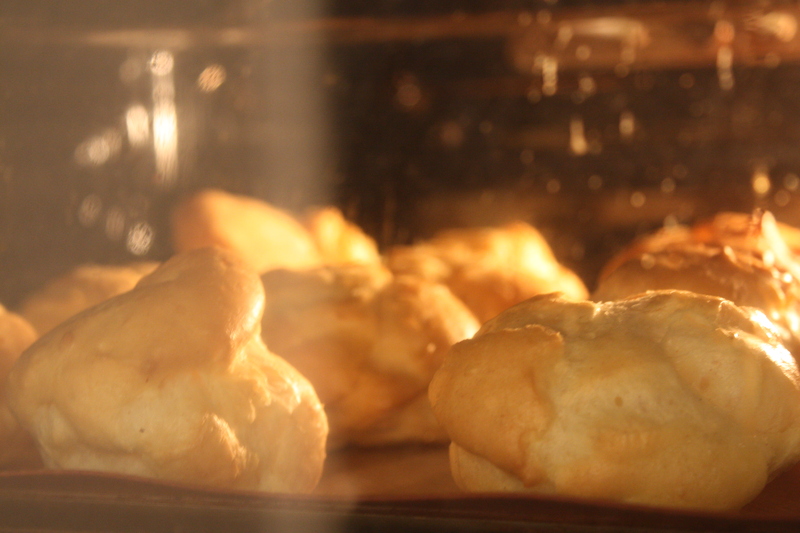 It’s really important to make sure that the oven is already up to temperature so that the profiteroles get a short, sharp blast of heat and rise properly. 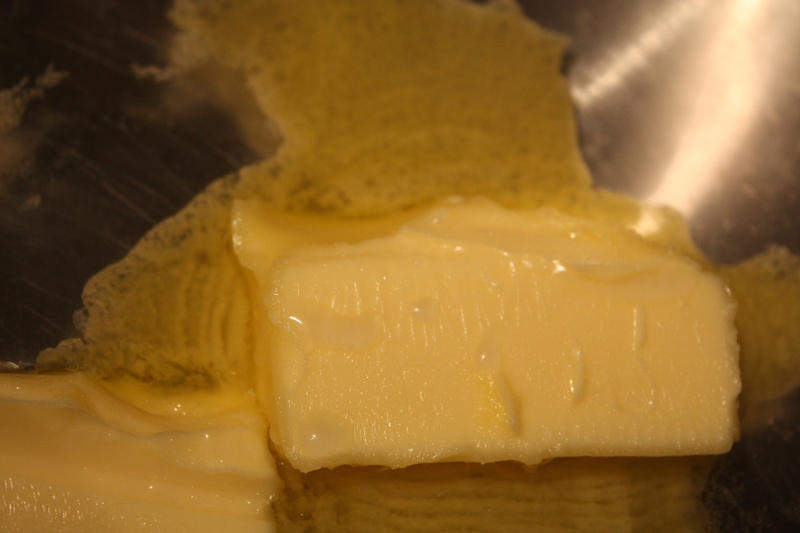 Now start on the choux pastry by heating up the butter, water and sugar to the point where it’s just started simmering gently. Take it off the heat, and dump in all the flour in one go. Stir vigorously with a wooden spoon so that the mixture turns into a paste and starts coming away from the sides of a bowl. 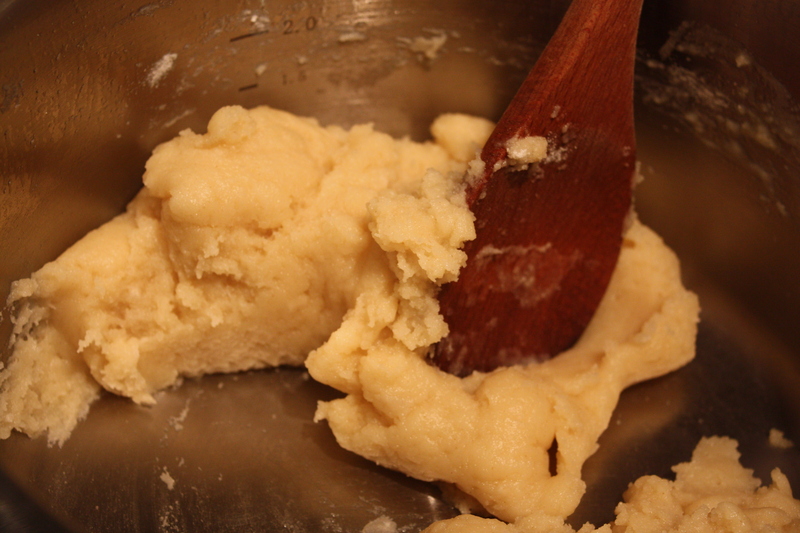 Take the pastry out of the pan and put it in a mixing bowl for 10 or 15 minutes until it has cooled down. 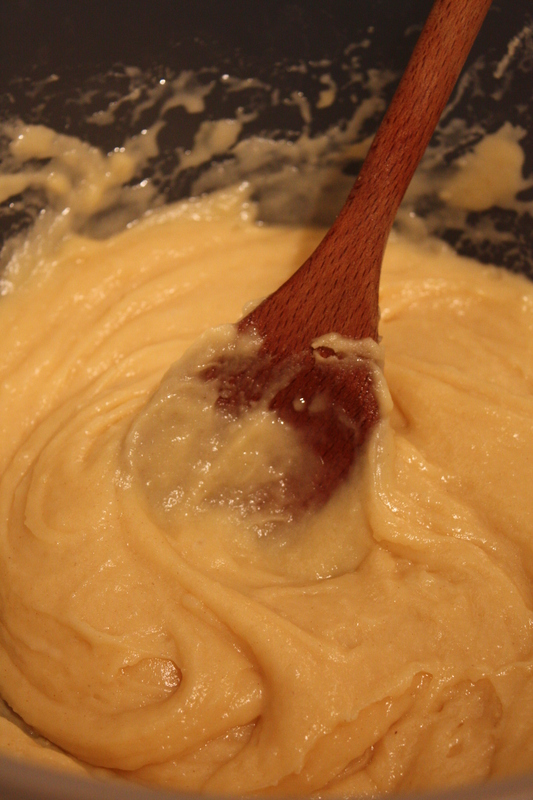 Stir in one beaten egg at a time until the pastry has a “dropping consistency.” The pastry should be smooth and shiny at this point – it shouldn’t exactly drip off a spoon by itself, but if you flick it then it should. Oil a baking tray (or if you’re lazy/lucky like me than get a silpat!) Put a heaped teaspoonful of mixture in little dollops at 2 inch intervals on the tray, and pop them in the oven for 25-30 minutes. 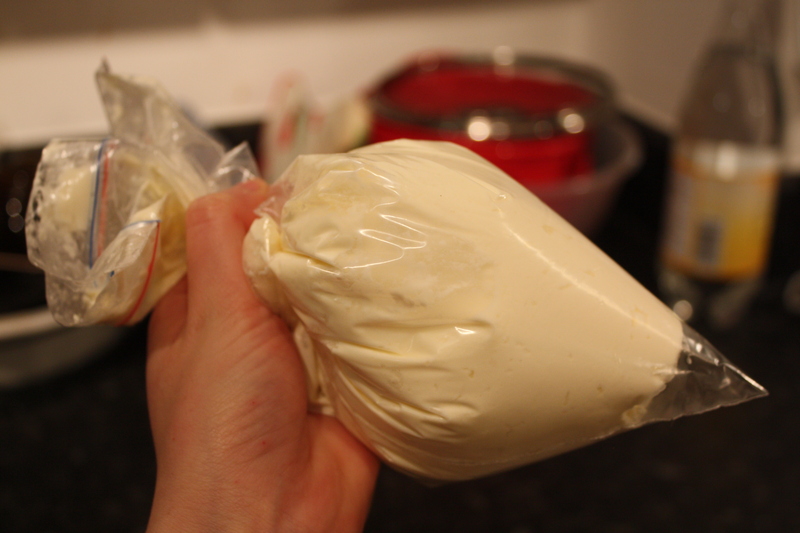 If you have a piping bag at hand – congratulations, you are clearly an accomplished and well-equipped chef. If, like me, you don’t have a piping bag, then improvise. I found a freezer bag which worked well enough when I cut off the end! 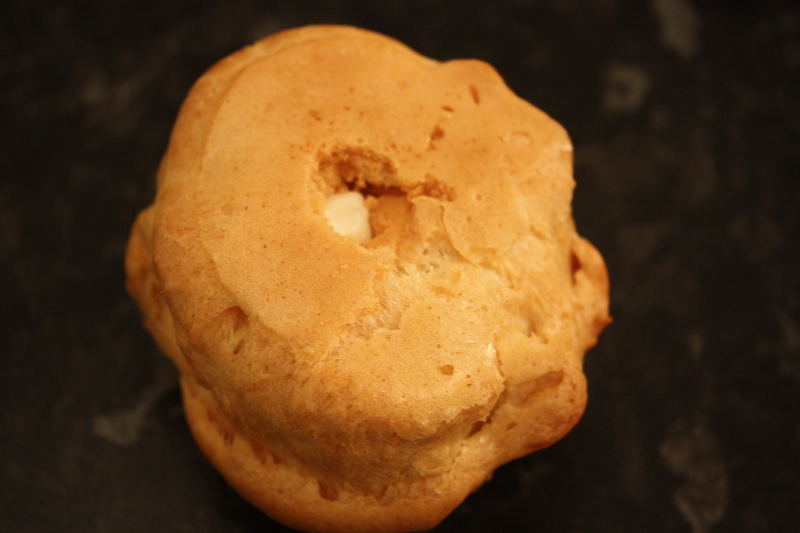 Squirt the cream into the profiteroles through the hole cut in the bottom. 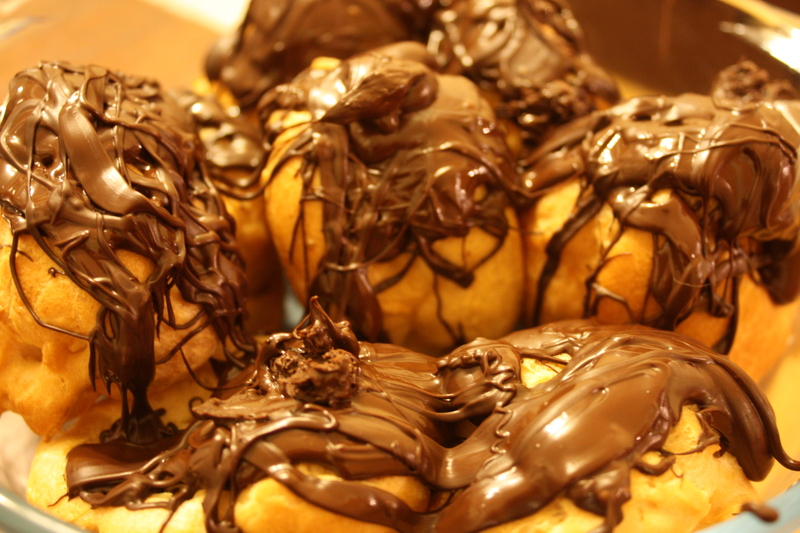 Finally drizzle or dip the profiteroles in the melted chocolate. Enjoy!